Cut the strawberries and put into the saucepan. Add 1/2 cup of water ,lemon zest and lemon juice to the strawberries and bring it to boil. Cook until strawberries are soft. Allow it to cool. Blend the cooked strawberries and filter it using cheese cloth . Blend the remaining pulp once again using some water and filter it again.Now discard the remaining pulp. For syrup,combine sugar and water in another saucepan and heat until the sugar completely dissolves and comes to boil.At this point add filtered juice and salt. Cook for a minute and turn off the flame. Transfer the hot juice into one bowl and allow it to cool. This hot concentrated juice mix when cooled can be stored in refrigerator for about 3 to 4 days. 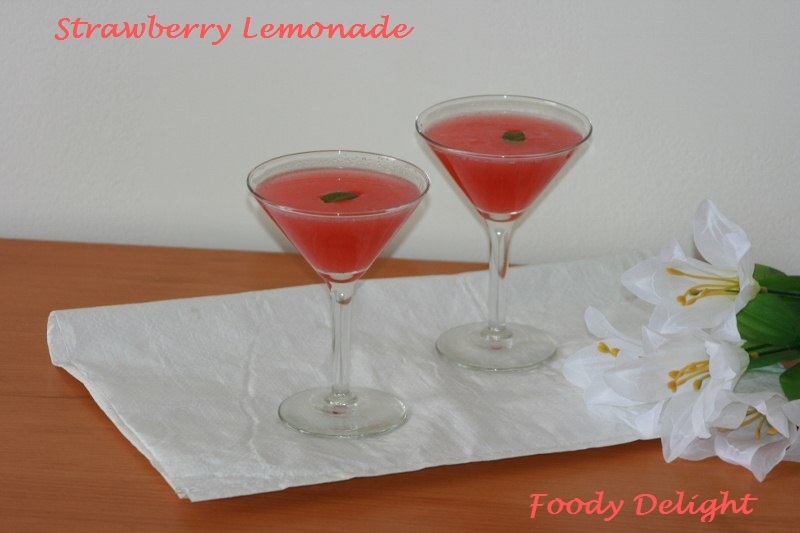 Enjoy the strawberry squash with lemon wedges or some ice on top. Awesome color n lovely drink..Refreshing!! Wow thunder quencher for this summer. Looks yummy. Hi Pranjali, Thanks for dropping in and helping me explore yours. 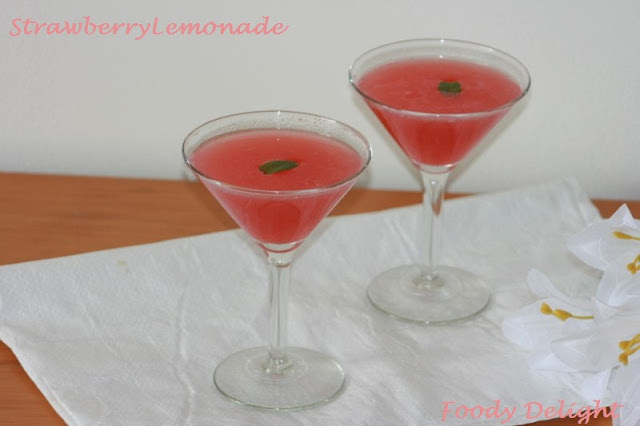 A sparkling mocktail to beat the summers. It so refreshing - just looking at it ! Hello Pranjali, thanks a lot for visiting my blog and leaving a nice comment! Loved your blog too and since it's summer now, I just love this refreshing recipe with strawberry...all the best! 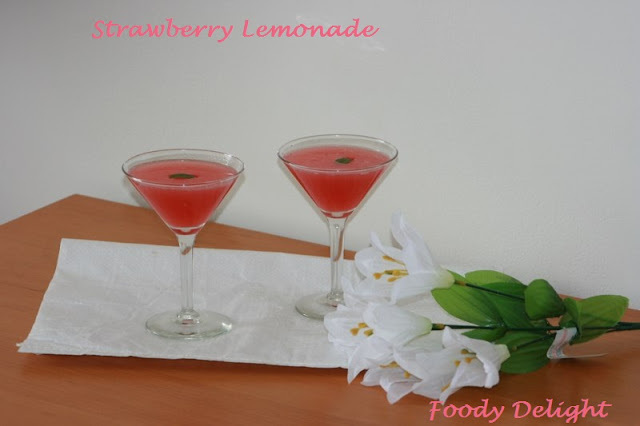 very refreshing and delicious strawberry drink..wonderful clicks..
thanks for visiting my blog and appreciating it!! Your blog is also awesome..keep up the good work!! Happy blogging!! hi pranjali, thanks a lot for visiting my blog and appreciating it..your blog is also awesome..keep up the good work!! Happy blogging!! nice refreshing drink .Summer time spl. gorgeous color..great pictures..easy recipe and delish result! 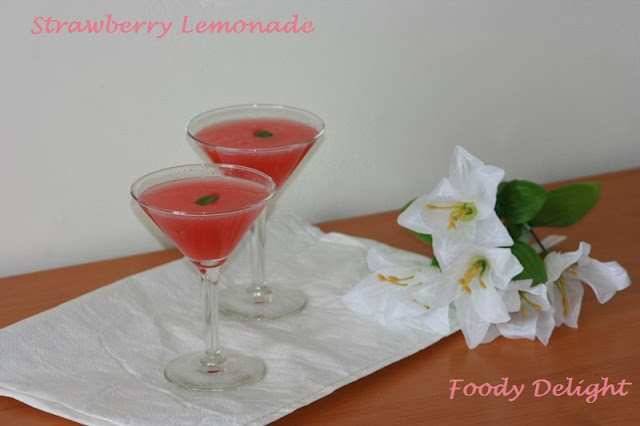 yummy drink.....looks great.vl try this.